Hiking is as easy or as hard as you want it to be. 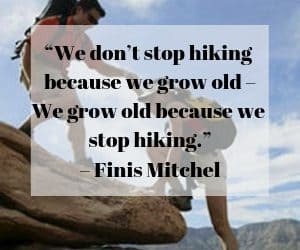 Hiking is for all ages, no matter the fitness level or if you are overweight or not. 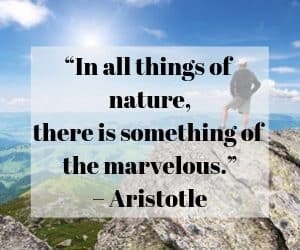 One thing we can all agree upon is that hiking is good for your health, good for the soul and good for the pocket, as in it does not cost you anything to get out and into nature. 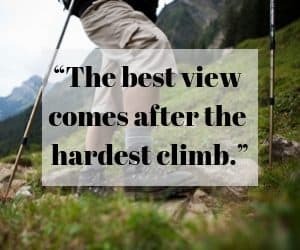 If you have been procrastinating about getting out Hiking, bookmark this post and use it for some motivation to kick yourself up the backside and just get out there. 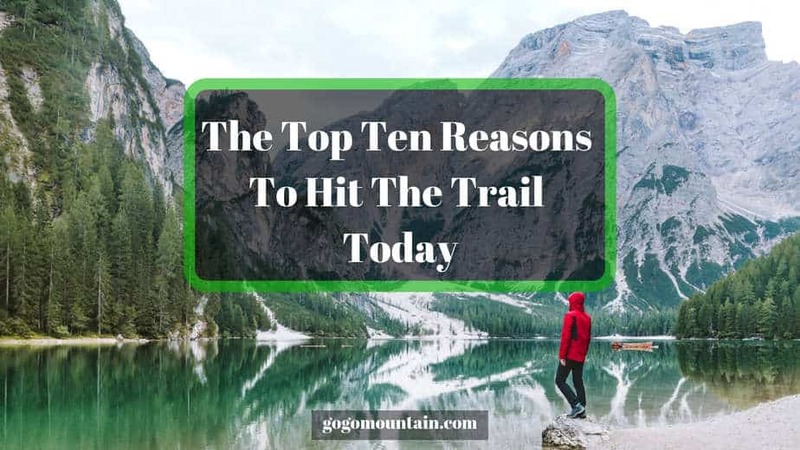 In no particular order, here are our Top Ten Reasons To Hit The Trail Today! 1: Hiking Costs You Nothing! Apart from the obvious buying decent boots and proper clothing etc, once you are kitted out for a good hike, the actual Hiking part, costs you zero. It’s pretty much a free world to go out and explore, take in the scenery and really get back to nature. 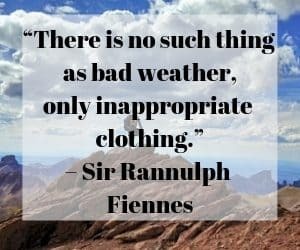 So, get your boots on, stop putting it off and get out there and walk your legs off. If you have not walked distances in a while, then you might be a little sore the next day, but its all good baby 🙂 It gets easier the more miles you clock up. 2: Hiking Releases Stress And Keeps You Fit! It doesn’t take a Doctor to tell us that a brisk walk about town or in the countryside is a good healthy form of exercise. There are documented Medical facts about the relationship between keeping fit and active and having good mental health. Hiking is a proven exercise to release our day to day stresses and get us into good physical shape while doing so. Is that a win win or what! 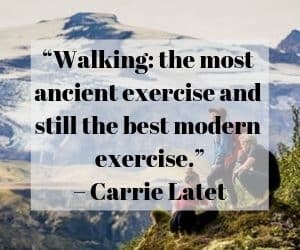 Similar to number 2, hiking most definitely helps with depression and always lifts your mood. I can talk from personal experience. A few years back, after losing both parents just a few months apart, I was very low, more so than I have ever been. If it were not for getting outdoors and going for a lot of solo hikes, I really believe it would have taken me a LOT longer to get over my depression. Its almost impossible to go out hiking in a bad mood and stay that way throughout your hike. The fresh air, the solitude (If you hike solo) the scenery, it really does have a dramatic effect on your state of mind. Doctors explain its simply chemicals (endorphins) released in the brain which cause the feel good factor, but I think of it a bit more spiritually. Either way, it works and it’s something I highly recommend to anyone feeling low or depressed. Having the optimal levels of vitamin D cannot be underestimated. This is not a medical post nor am I qualified to give any medical based advice, but its pretty much common knowledge that Hiking boosts vitamin D levels because the best source of vitamin D does not come in a bottle, but comes from the Sun. Vitamin D helps build Stronger bones, balances blood sugar levels and has anti-inflammatory effects, plus many many more benefits. There is nothing quite like a blast of fresh air out hiking for an hour or two to make you ready for a good nights rest. If you actually suffer from insomnia, then make hiking a regular part of your exercise routine. The fresh air coupled with the actual hiking really helps with insomnia, your brain will switch off a hell of a lot easier after a good hour or two Hiking. 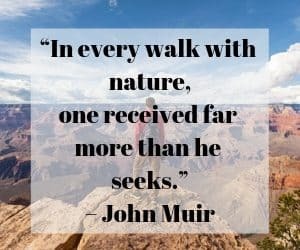 It goes without saying that hiking and walking in nature is the very best way to be at one with it, take in the views, appreciate the beauty of your surroundings, from green undulating hills, to glistening pristine rivers and beautiful countryside. It’s far too easy to take all this for granted. Stop for a minute and really take in your surroundings. Its a stunning world we live in and needs to be appreciated! 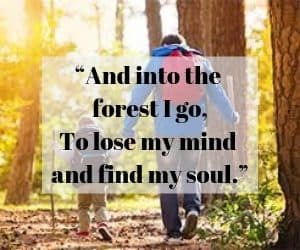 If you are like me and love having time on your own for meditation, self reflection and time to sort out your thoughts without disturbance then hiking is the perfect activity for you. I know many trails not that popular with the mainstream hikers in my area. If I need time alone or want to get away from it all for an afternoon I will hike one of these trails. I can go 2-3 hours without coming across a living person and its fantastic food for the soul. I highly recommend doing this every so often. The clarity of thought you get is astounding. Note** Always tell someone which route you are taking in case you get into difficulty and need assistance. On the flip side to number 8, hiking is a fantastic way to get out there and meet new people. Join your local hiking or ramblers club if you love company and want to meet new friends. Hiking is an awesome group activity and perfect for people looking to keep fit meet new interesting people and have a jolly good time. last but by no means least. Hiking has been proven to lower your risk of heart disease. Heart disease is one of the western worlds biggest killers. Hiking helps open up the arteries, which lowers blood pressure and takes stress off your heart. In one clinical study, walking for 30 minutes a day, three days a week was enough to significantly reduce participants’ blood pressure levels. So no more procrastination – Get Out There And Take A Hike!! !